You're viewing our Adcraft 18" countertop electric oven. 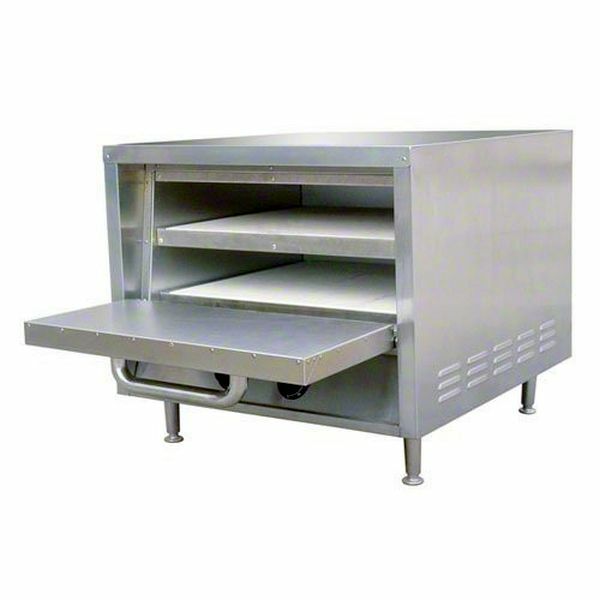 Adcraft's stackable stainless steel pizza oven is compact and ideal for use in kitchens with limited space. 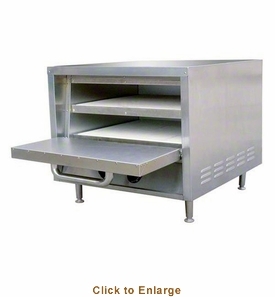 The oven comes with 2 removable ceramic hearth baking shelves with a 3-1/4" deck height and 18" deck width, perfect for baking pizzas, breads and a variety of bakery goods. The countertop pizza oven is a great addition to any restaurant, diner, sandwich shop, specialty store and more, perfect for also making pretzels, cookies, sandwiches, focaccia, biscuits, pies, flatbreads, hors d�oeuvres and breadsticks. Thermostat range of 284�F to 680�F. 15 minute continuous timer. 6 foot power cord. CE. Our Adcraft 18" countertop electric oven comes with a manufacturer warranty. We are available to answer any questions you may have about our products. CA Residents - Prop-65 Warning.